Ariva Business Center | Why Coffee Shop Meetings Can Hurt Your Small Business? Who hasn’t had a meeting in a coffee shop? To perform an interview, to be interviewed or just to have a regular business meeting or workshop, the increasing popularity to use such venues for startups or small businesses has morphed into a work space of sorts. But what are the problems of mixing business with pleasure? 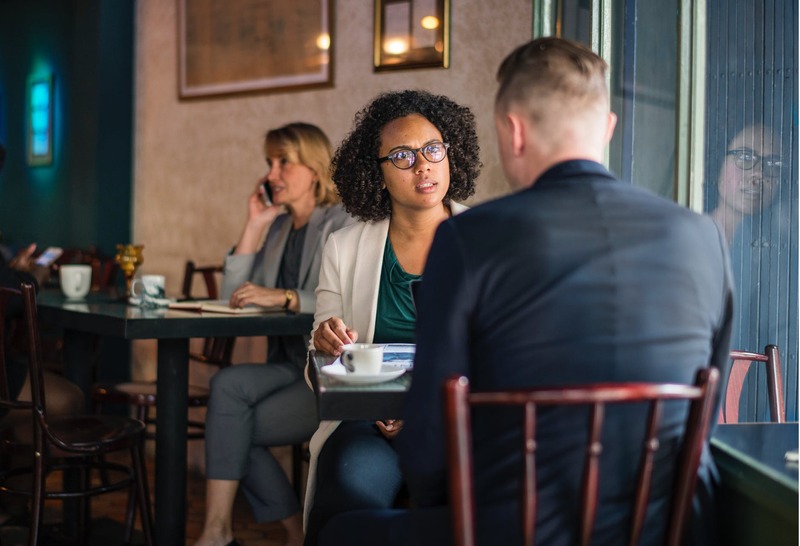 Privacy: Maintaining the privacy of your conversations and your documents is quite a challenge, there is an unspoken etiquette of working in a coffee shop and you want to keep a brief conversation at a lower voice. Who wants to be interviewed where anybody can hear you? Imagine how many people just passing by can see your financials or bank statements. Imagine trying to close that big business deal over the phone with everybody listening. Noise: Coffee houses can be very noisy at times and there is no way to foresee this, trying to concentrate on an interview or phone conversation with the noise of a busy coffee shop can be very distracting, not to mention the negative impact when receiving a business call while the barista is calling out your name for you to pick up your drink and the sound of espresso machine in the background. Security: According to an article done by LoJack, the second most common area for laptop theft is a coffeehouse. And while a laptop can be easily replaced at an expense, your loss of data is not, and can really hurt your business, with problems ranging from the loss of income to legal investigations the fact remains that it will be a real problem that can be prevented. Professional image: Even though it’s a common practice to hold your meetings at a coffee shop, it can really hurt your business professional image. Some coffee houses have music and while this can be very soothing for some it’s really not the most professional image you want to transmit to your customers or future employees, with so many scammers or ghost companies out there, you really don’t need the added doubt, it’s tough enough as it is already being a startup or a small business trying to establish your brand and be taken seriously.